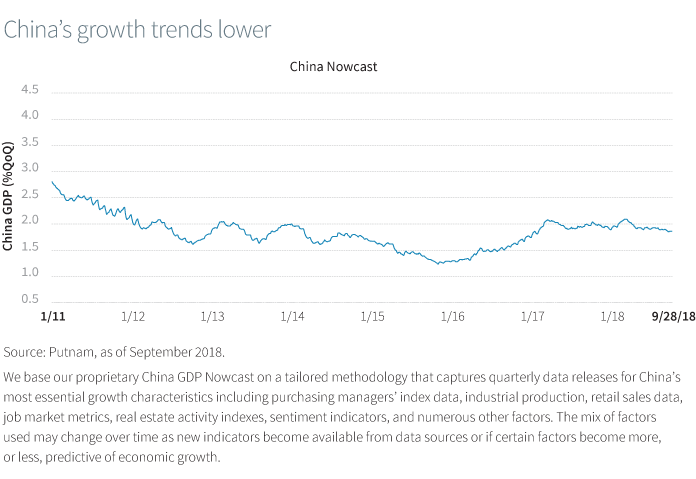 There are signs that growth in China’s economy was slowing as policy makers encouraged deleveraging and the trade conflict with the United States escalated. In response, the government eased bank lending restrictions, helping to buoy the economy. The recent rise in industrial metal prices may be a sign that fiscal stimulus is beginning to support demand. While our estimates suggest an impact of around 1% of GDP, it is hardly disastrous given the economy is growing between 6% and 7%. The authorities have the policy tools and flexibility to offset shocks to the economy. Still, an escalation in the China-U.S. trade conflict will have consequences for China. China’s hopes of negotiating a free trade pact with Canada or Mexico was dealt a sharp setback by a provision in the new United States-Mexico-Canada Agreement (USMCA) that aims to forbid such deals with “non-market” countries. The United States and China are locked in a spiraling trade war, and even if there is an agreement, we expect tensions to escalate. As long as there is a chance that Trump only wants headlines, China has little incentive to offer anything substantive. Also, we are not very far along in this process. First, the Chinese have already floated a deal, with the support of Treasury Secretary Steven Mnuchin, and it was rejected. The idea that the Chinese can get away with buying more soybeans and liquefied natural gas from the United States is not passing muster with the administration. Moreover, the Trump administration has suggested that clearing the decks with the USMCA will allow a renewed focus on China. Second, whatever the United States has done so far has not changed the cost-and-benefit calculus as Beijing weighs its options. If China wants to make a deal, they are more likely to respond if the costs of not conceding are raised. Some in the Trump administration are calling for more measures, and they seem to be winning the argument. 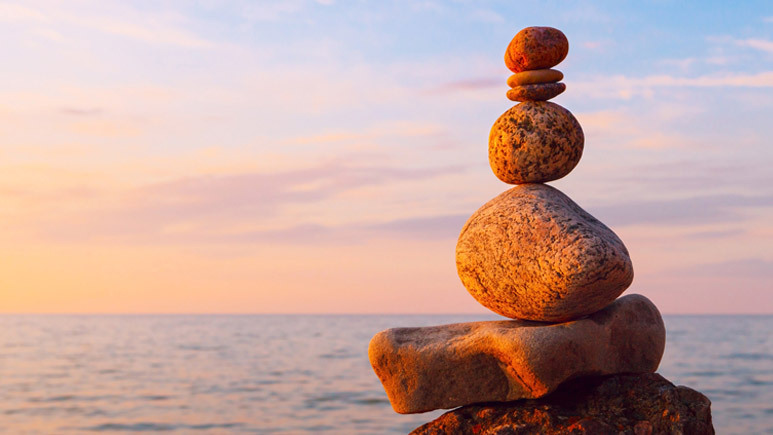 Third, the inclusion of macroeconomic monitoring in the USMCA introduces another uncertainty in the China trade conflict. China is not an open market economy; capital does not move freely in and out due to capital controls. Also, capital does not move freely around China since the financial system is dominated by public sector banks in which credit decisions are very heavily influenced, if not entirely determined, by policy preferences set in Beijing. All countries use a variety of techniques to push credit into favored sectors of the economy. But there is a dramatic difference in scale and scope between what China does and what happens in advanced economies. There was debate in the run-up to China’s WTO accession in 2001 on whether it was appropriate to let a large non-market economy into the free world’s trading system. Europe and Japan would probably join a U.S. campaign to address the distortions created by China’s capital markets. Having put macro monitoring on the table with Canada and Mexico, the United States has opened a large area of potential tension with China. We don’t expect an armed conflict, but China is sending signals that they are not prepared to roll over and accede to U.S. demands. Fourth, the U.S.-China relationship is far more complicated and challenging than mere trade issues. The geopolitical dimensions are becoming more important. North Korea is an example of how the two big players shuffle pawns around on the board. The past two weeks have brought more signs of stress. In the latest signal of the increasingly fraught ties, the Pentagon has canceled Defense Secretary James Mattis’ visit to China later in October. And China has reacted with anger to the news that the United States is ready to approve a $330 million arms sale to neighboring Taiwan. We don’t expect an armed conflict, but China is sending signals that they are not prepared to roll over and accede to U.S. demands. Given the recent speech by Vice President Mike Pence accusing China of election interference, we can’t discount the possibility that relations between the United States and China may worsen. For all these reasons, we remain concerned about the next steps in the trade conflict. Even though we may well end up with another benign agreement, we may not be able to get there without the conflict worsening. This is happening when global trade and manufacturing are already under some downward pressure.